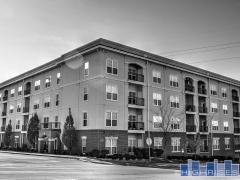 West End Lofts of St. Louis, MO | 4100 Forest Park Ave.
West End Lofts are modern St. Louis lofts with hardwood floors, euro-style cabinets, new floor to ceiling windows, natural stone countertops and stainless appliances. Have any comments or questions about West End Lofts? Ask your question and/or share your thoughts about this Building.